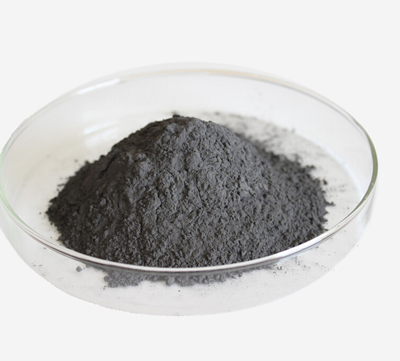 Retaining its crystalline structure at temperatures up to its melting point, rhenium is gray to black in powder form, silvery-white and lustrous as a solid. It does not occur naturally. Rhenium has one of the highest densities, exceeded only by platinum, iridium, and osmium. Only tungsten and carbon have higher melting points. Rhenium has good wear resistance and it can withstand arc corrosion. Rhenium's range of valences exceeds that of all other elements. Size: approximate 3um, passed in 200 mesh. Rhenium is used in platinum-rhenium catalysts which in turn are primarily used in making lead-free, high-octane gasoline and in high-temperature super alloys that are used to make jet engine parts. 1) Widely used as filaments in mass spectrographs and in ion gauges. 2) An additive to tungsten and molybdenum-based alloys to increase ductility in these alloys. 3) An additive to tungsten in some x-ray sources. 4) Rhenium catalysts are very resistant to chemical poisoning, and so are used in certain kinds of hydrogenation reactions. 5) Electrical contact material due to its good wear resistance and ability to withstand arc corrosion. 6) Thermocouples containing alloys of rhenium and tungsten are used to measure temperatures up to 2200 °C. 7) Rhenium wire is used in photoflash lamps in photography. 8) Rhenium forms rhenium diboride with boron. 9) It is a compound noted for its extreme hardness. 10) Isotopes of rhenium are radioactive. The 188 isotope, with a half-life of 69 days, has been tested for treatment of liver cancer. The 188 isotope may be obtained in the form of a generator. 11) Related by periodic trends, rhenium has a similar chemistry with technetium; work done to label rhenium onto target compounds can often be translated to technetium. This is useful for radio pharmacy, where it is difficult to work with technetium - especially the 99m isotope used in medicine - due to its expense and short half-life.